As one of our highly recommended high-mountain teas, this Organic Huang Shan Mao Feng Green tea is characteristics in sweet taste and lovely greenish color. 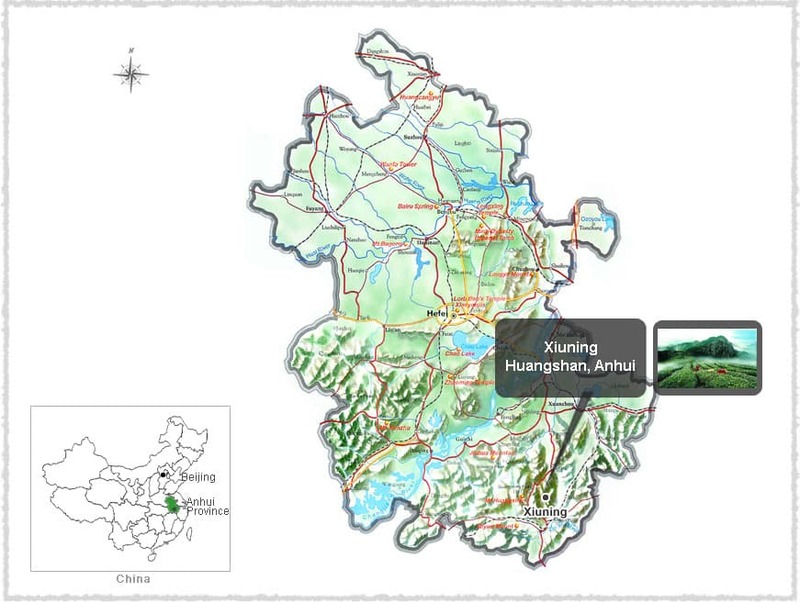 Our organic Huangshan Maofeng tea comes from Xiuning County, which is a nationally renowned organic tea-producing county in China. This tea was plucked in the early spring when the tea buds are most tender and rich in nutrients, making this a first-flush tea. Only one bud and one or two leaves is permitted to be hand-plucked for this high quality tea. 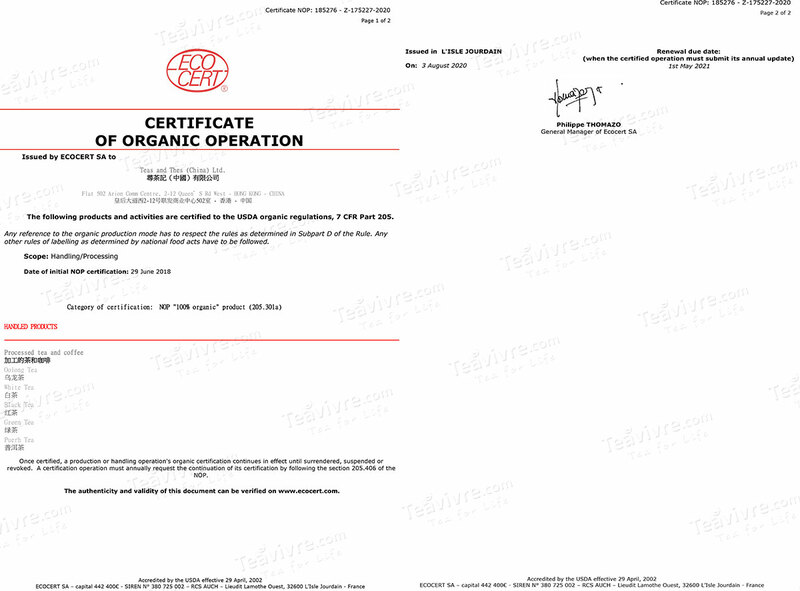 The plucking and processing procedures must be completed within the same day in order to ensure the quality of the tea. The dry tea leaves are fine and straight with a yellowish, green color and finishing off with a strong fragrance. This tea has a smooth, sweet vegetal flavor, with a hint of savoriness that comes out in later steeps. 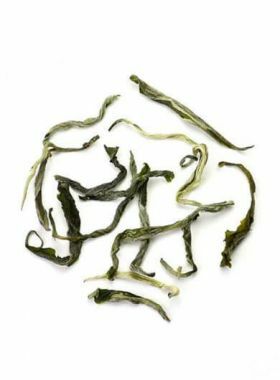 The leaves start out as a bright verdant green that then takes on a lovely tint of yellow as they unfurl, with the tea itself a bright golden green. The Yutian tea garden is located in a mountainous area in Xiuning County of Huangshan (黄山), at an elevation of 1200 meters. 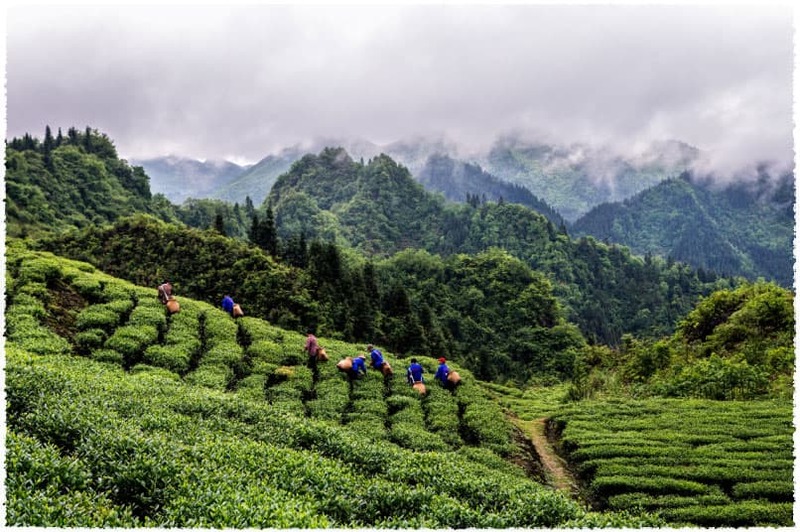 The environmental conditions surrounding this area are all perfect for growing tea: cloud-heavy mountains, abundant streams, and plentiful sunlight and rain. This particular tea garden is entirely organic, and with so many wild flowers, grasses, and trees around as well, the tea produced here often carries a sweet natural taste. Our Huangshan Mao Feng green tea comes from the Anhui Province, specifically a plantation located on the slopes of Huangshan Mountain. This place is both the historical birthplace as well as the home of some of the best Mao Feng green teas, and features a mix of rugged mountains and thick forests, its cool temperatures and misty air ideal for growing the buds and leaves needed for Huangshan Mao Feng. 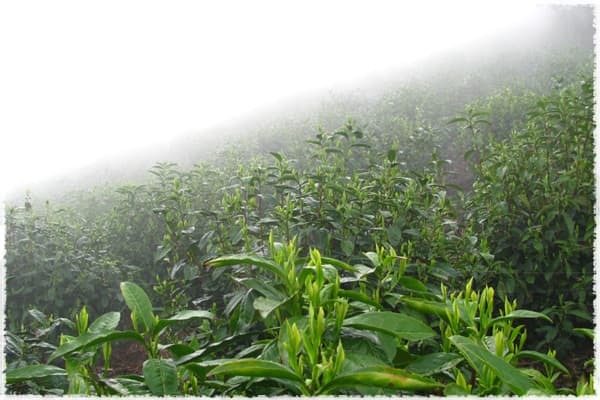 The Huangshan large-leaf tea species belongs to a dwarf variety of tree whose leaves have a more horizontal tendency. Its buds are very tender and fuzzy, and the species is able to put out more buds in spring that have a better resistance to the severe winter cold. These leaves are high in phytochemicals too: for tea of one bud and two leaves, measurements read at 5.2% amino acids, 24.5% polyphenolic compounds, and 44.03% water extract, with each gram of dry leaves containing up to 138.04mg of catechinic acid. Mt. Huangshan in the Anhui province has been used to cultivate high-quality tea for many centuries due to its ideal growing environment. Modern Huangshan Mao Feng traces its roots back to the late 1800s with a merchant, Xie Zheng An, who fled the war at the time and desired to set up a family tea business at the mountain. The tea his family produced, named after the Huangshan mountain and because it looks like a fur-covered mountain peak, quickly became popular in China due to its excellent quality and great taste and aroma.